There are dozens of counseling careers, from school counseling to psychology. Review the top guide to counseling careers below, including over 20 different types of counseling careers. You can see the descriptions for each counseling job, as well as what degree is required for that career in counseling. Our Counseling Career Guide will help you find some of the top counseling careers, as well as pertinent information on what their job responsibilities are on a day-to-day basis, what degree is the minimum requirement, and a quick sentence on "who the counseling career is for" to help you figure out which may be best for you. You might consider reading about the top highest paid jobs in counseling, in addition to our career guide below. Read on to learn about additional counseling education requirements and the different types of careers that might be available. Counseling is a diverse field that contains many different specialties. Depending on the popularity of the type of counseling and the type of crowd that is drawn, earnings can be higher or lower than the national average. Professionals that have chosen the field of counseling for their careers may have the ability to provide lasting support to people under their care. This career field can touch on many different specialized areas within society, since so many people may need supportive services throughout their lifetime. When most people think of counselors, they may picture people that jump in to help when mental health disorders are causing disruptions in a person's life. In fact, counselors can provide preventative services, assistance to seemingly normal people coping with natural life struggles, as well as people that have been diagnosed with mental health disorders. Check out some of the common areas where counselors work. Counseling Agencies: One of the most popular areas for counselors to work is within counseling organizations or mental health agencies within their communities. These agencies can provide well-rounded counseling services to people of different age groups, mental health concerns and varying life circumstances. Professionals working in this area may provide diverse services that can meet the needs of most people that seek care through their facility. Schools: Counselors may also work in educational settings and schools all of the country. Since schools are where children and young adults spend a large majority of their time, counselors can work on-staff to ensure that the needs of their students are constantly met. Some of the issues addressed in this area of counseling may be general development, difficult family lives, college and career preparation and relationship counseling. Government: One area in which counseling may be growing is within government agencies. Most prominently, military and veteran counseling services can be provided to military members and their families who are dealing with issues on separation, trauma or post-traumatic stress disorder. Counselors may be employed directly through the U.S. Government to provide support to these individuals. Healthcare: Counseling can be tied to healthcare in relationship to long-term illnesses, dealing with the illness of a loved one or just general rehabilitative counseling needs. Working in this area of counseling can put you in touch with clients that may need referral services related to their healthcare, support with developing coping skills and individual empowerment during different health struggles. Social Services: In the field of social services, counselors can assist children that have been separated from their families due to abuse or neglect. They may also work with adults that are struggling financially and receiving benefits from their state. In certain areas, counselors may also work with geriatric clients that request counseling services to assist with managing emotions related to the aging process or their health. Rehabilitation Services: As part of drug and alcohol rehabilitation, counselors may step in to assess and provide treatment to those involved. Counselors may be contracted by rehabilitation agencies to assist with life improvement services or work full-time with these organizations. Rehabilitation services for injury and illness may also require counselors to help people coping with these life changes. Independent Practice: In addition to the fields above, counselors may also work independently within their specialized field of counseling. Independent counselors may advertise and provide counseling services for a certain set of clients requesting services. Depending on what you desire as a counselor, this could be an option to consider. Accreditation: Counselors working in the field have one thing in common – an accredited degree. Accreditation is vital to the relevance of a degree program. 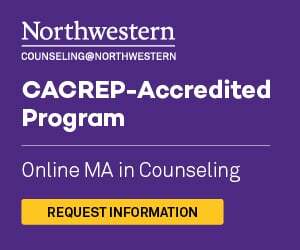 The CACREP (Council for Accreditation of Counseling and Related Educational Programs) is the most sought after counseling accrediting body. Undergraduate Degree: All states within the country require that graduates hold an accredited degree prior to becoming licensed as a counselor in any specialty. Although some assistant positions and entry-level positions require a minimum of an associate’s degree, individuals must have a higher degree paired with a license prior to counseling patients directly. View Bachelor’s in Counseling Programs. Master’s Degrees: The minimum degree requirement for licensed counselors is a Master’s degree in Counseling. Since this is the minimum requirement, most counselors in the field are holding this degree. With the increase in the amount of counselors graduating with master’s level degrees, some counselors have moved forward and completed a Doctorate degree in Counseling. View Master’s in Counseling Programs. Doctoral Degrees: Most states require that individuals working in a private practice hold a doctorate degree and license prior to operating a business. The licensure requirements are the same for this higher degree program, but the ability to earn and the potential for higher tier positions are increased at this level, which draws more learners to this path. When considering specialty counseling degrees, students should research their state’s individual requirements for that type of degree program. View Doctorate in Counseling Programs. Counseling Specialties: The degree program you choose may also include a specialization option, which can provide you with additional knowledge within a field of your choice. Some of the most popular specialization options relate to the types of fields you can work in. Take a look at a handful of specialization options below. In the next section, you can read more about what is included within each of these specialized areas, as well as a few more that can be found through accredited Master’s in Counseling programs. When you are seeking an accredited program to choose for your degree, you should locate the program page through a university’s website. The CACREP label is often posted on the program’s page to indicate it has received accreditation status and can be used for licensure. If you cannot locate this information, you should contact the university’s enrollment services to get more information before applying. Once you are enrolled in a Master’s in Counseling degree program, you can expect to take courses that are related to assessing and treating various mental health conditions, providing support through common life circumstances and identifying issues that may cause emotional harm within the lives of the people you treat. The coursework within a master’s program must meet the standard of the accreditation agency in order to be considered a reliable resource for your educational goals. If you are interested in learning more about the types of courses you can take in this program, read more in the list below. Theories of Counseling: In this course, students can learn more about current theories in counseling and upcoming trends within their field. Students may be encouraged to develop their own theories about counseling as well as identify areas of bias within themselves that could pose a risk to treatment efficiency. Assessment and Evaluation: One of the fundamental aspects of counseling is providing helpful and accurate assessments for upcoming treatment. Students in this course can review assessments for reliability and validity, as well as learn how this information fits into the overall treatment process. As part of course requirements, students may be required to exercise their skills in conducting and analyzing assessments. Human Development: Human development is an important component in understanding why people act and react in the ways that they do. This course can help students better understand the role of normal human development in the development of emotions and emotional disorders throughout a lifetime. Having more historical information about human development can help counselors provide better services when working in the field. Prevention and Intervention of Crisis and Trauma: Throughout the duration of this course, students can learn more about instances of crisis and trauma that could occur in normal life. Intervention strategies may be covered in order to provide students with a solid foundation of reactive skills to help in a time of need. Prevention strategies and treatment elements relevant to trauma and crises may also be discussed. If you have conducted any research on potential college degrees or careers in the past, you may have noticed a term come up regularly throughout your search – accreditation. Accreditation is a very important component of a college degree program since it can indicate how reliable the degree program is and its proven worth in terms of pursuing licensure. There is not one single type of accreditation, different fields and specialized areas may have different types of accreditation for you to be familiar with. If you are interested in becoming a counselor, you should familiarize yourself with the Council for Accreditation of Counseling and Related Educational Programs. Often referred to as CACREP, this organization is responsible for consistently reviewing counseling degree programs to ensure that they provide a high quality curriculum that is relevant to the field as it stands. On this organization’s website, you can filter through college programs that currently hold accreditation so that you can choose a program that can lead to licensure in the future. One of the most important steps in becoming a counselor is planning for licensure. Even though this is the last step to working in the field, you should start considering the requirements before even choosing a degree program. As stated in the last section, accredited degree programs are reliable resources for upcoming counselors that seek to provide the best quality of care to those they serve. Searching for an accredited degree program should be your first step, so that you can ensure it will be accepted during the licensure process. In addition to an accredited degree program, you should also consider how and where you can engage in a supervised practicum during and after your degree program. Some colleges offer referral programs for students enrolled, while others lay the burden on you to set this up. Before starting a degree program, you should take a look at what each school offers in terms of the practicum requirement. If your chosen university does not offer help in setting up the practicum, you can speak with counseling organizations within your area to secure a practicum placement. Since counseling requires one-on-one contact with individuals needs guidance, state guidelines regarding licensure are strict in most states. Having a license not only communicates experience and trustworthiness to clients, but it also ensures that individuals have met all of the necessary requirements for practice within their state. Individuals that are interested in becoming licensed counselors should be prepared to earn a Master’s degree in Counseling at a minimum. There are many different broad and specialty degree programs in counseling available to upcoming professionals, so individuals should research the requirements of each degree program prior to entry. The practicum requirement may vary by state, but in general students can expect to engage in at least 1,000 supervised hours within the field. During this experience, upcoming counselors may work with actual clients in the field under the direct supervision of a licensed counselor. The first part of this experience may include shadowing and learning from counselors around you, but then lead into providing independent counseling services to the clients within your facility. This component can help tie together the curriculum and its application within a real-world setting. View our state-by-state counseling licensure information. Lastly, most states require that applicants set up and complete a state examination in counseling prior to being approved for licensure. This examination is called the National Counselor Examination for Licensure and Certification (NCE). It may consist of terms and scenarios that can occur while working in the field and test your knowledge of counseling skills and ethics along the way. Once you have successfully completed this test, you can move forward with getting your license to practice counseling within your state. Most states also require that graduates document 1-2 years of supervised work experience under the supervision of a licensed counselor. This experience requirement allows graduates to take part in standard counseling activities while been supervised by an experienced counselor. This work is documented and sent to the state as hours credited to the experience requirement. Depending on the state, registration is required, along with the submission of quarterly reports signed by a supervising counselor. Once these requirements have been completed, each state requires that candidates for licensure successfully pass a state board exam in counseling. Licensed counselors are free to work in the field while maintaining licensing-renewal dates and fees required by their respective states. Counseling program areas that focus on individuals and families may be great options for upcoming students interested in conserving the family unit. Degree programs that offer these specializations may consist of techniques that are specific to the needs of families and individuals struggling with normal life circumstances. During a program, students may learn more about properly assessing the family unit to discover areas of strain that may need to be addressed within a treatment plan. Focusing more on education and occupational goals, these areas of counseling can be found in degree programs all over the U.S. Using standard practices in counseling, students may be taught how to promote educational and career goals in children and young adults in schools and beyond. Degree programs offering these specialties can help students learn more about the resources and analysis tools that can be helpful in matching students with services they need throughout their experience. Addiction is a huge epidemic in the world today. Counselors that choose to pursue degree programs in these areas can enroll in degree programs that can help them learn more about addiction can take its toll on members of society and the effect it can have on their mental health. Students can learn how to assess their clients and provide them with treatment that meets their needs and helps them to develop stronger coping mechanisms for past traumas and life challenges. One of the most degree programs for upcoming counselors may be that of mental health counseling. This program area can introduce students to common mental health disorders such as depression, anxiety and bi-polar disorder. By learning more about these disorders, students can gain a better understanding of how they can be treated in a clinical setting. Counseling can be an extremely helpful tool for any person that is experiencing negative emotions or impactful life events. It is common for people to have drastic changes within their lives that can warrant the need for support and guidance, which may be why the field of counseling has grown so important for even the average person. In order to give you more insight into how influential this field has become, take a look at the different careers to choose from in the field of counseling. There is a large amount of diversity present within the field of counseling. Whether you are interested in pursuing a career working with children or just specifically with clients that are experiencing depression, there may be career options for you to choose from within this field. The Bureau of Labor Statistics is the leading resource for career salaries within the United States. This organization can provide you with more insight into what your earnings could be after receiving licensure and starting a career within this field. Below this section, our team has provided salary data found through the BLS website. The salary information provided is from real professionals currently working in the field in various settings. Take a look at these averages to gain a better outlook on what your future could hold financially in the field of counseling. Substance Abuse, Behavioral Disorder and Mental Health Counselors: $43,300 on average per year (BLS). Marriage and Family Therapists: $48,790 on average per year (BLS). Keep in mind: as a counselor working in the United States, earnings can vary based on setting and education. According to the Bureau of Labor Statistics, Clinical, Counseling, and School Counselors can earn $76,040 per year on average. Those that choose Mental Health, Marriage, or Family Counseling can expect to earn around $42,250 per year on average (BLS, 2015). The range is vast and is very dependent on location and level of education, not to mention experience, so be sure to do your research. Specialty fields in counseling vary in earnings due to the demand of services and the population diversity within different areas of the United States. Counselors that work in an area that has a high demand for their services will earn more than counselors in an area of low significance. Earnings can also be affected by employment path, with workers in government agencies earning less than counselors in clinical settings or private practice. Graduates that have obtained higher level degrees tend to earn more on average than those at the minimum master’s degree level. If you are deciding which area of school counseling, you may be wondering what the differences are between elementary education, early childhood education, and high school education careers, and what degree programs would best prepare for each one. Although these are three distinct areas of focus, all offer students opportunities to become a positive role model and leader in their school system. The information on this page should help you develop a strong understanding of what it takes to work in elementary, early childhood, or high school counseling settings. When pursuing an elementary education counseling career path, you can have the opportunity to take a variety of courses that will inform your knowledge and develop your proficiency. Counselors in today’s school systems, no matter what the grade level, need to have a keen understanding of students who come from all cultures and economic backgrounds. Students from all walks of life face increasingly complex challenges, even at the elementary level. You may also take classes that emphasize group counseling techniques, since you will surely be dealing with students who have issues with each other, their teachers, and parents too. You will need to learn how to be an advocate for the child, while still working towards the most successful, healthy outcome. What you can also do to prepare is take psychology courses during your bachelors and graduate level courses that focus on the adolescent and childhood psychology. Understanding the mind of the age group you work with may be the most important piece of your elementary counseling professional puzzle. If you want to become a counselor in an early childhood education setting, and help the health and mental well-being of newborn to six-year-old kids, you may want to earn a certification in early childhood mental health counseling. Many programs require a practicum or internship where you will work in an early childhood setting. When you are comparing programs, ask about their opportunities to gain first-hand experience in the field as they complete their education. You will also want to discuss what institutions have hired their graduates. A master’s degree in school counseling may be your best solution to achieving this career goal. The BLS also states that those who work in the Child Care Services industry can earn a median wage of $106,510. Adult Geriatric Counselors assist individuals and families suffering from the effects of aging. These counselors typically work in long-term care facilities, hospitals, or private residences. Adult Geriatric Counselors should have a master’s or higher education, or a doctorate for practice in a private setting. This position is for compassionate and supporting individuals. Career Counselors assist their clients in assessing their skills in order to determine their best career path. They typically work in schools or counseling offices. Career counselors should have a bachelor’s degree or higher prior to working with the public. Individuals should be determined and willing to help their clients succeed. Child Abuse Counselors focus on treating children that have suffered different types of abuse from a loved one or trusted acquaintance. These counselors typically work in clinical settings, for state agencies, or in private practices. Individuals working is this field should have a master’s degree or higher. Counselors in this field should be caring and compassionate. Child/Pediatric Counselors work with children to assess, diagnose, and treat mental impairments or social disruptions that can interfere with a child’s wellness. They are typically found in clinical, medical, or private settings. In order to be a counselor in this specialty, individuals should have a master’s degree or higher. Doctorate degrees are required for private practicing counselors. Those in this field should be kind and compassionate. Mental Health Counselors work with individuals suffering from various mental impairments. They assess patient conditions, design and implement treatment plans, and observe treatment efficiency. These counselors typically work in mental health facilities, hospitals, or private practice. Mental Health Counselors should have a minimum of a master’s degree. A doctorate degree is required for private practice. Counselors in this specialty should be determined and understanding. Depression counselors work with individuals that suffer from all types of depression. They focus on therapeutic treatments that help individuals identify and adjust the negative feelings associated with depression. Depression counselors work most commonly in private or clinical settings. Those working in this field should have a master’s degree or higher. Doctorate degrees are required for private practice. Depression counselors should be non-judgmental and caring. Domestic Violence Counselors work with victims of domestic violence and their families to assist in the transition to a stronger sense of self-worth and determination for a better life. These counselors are typically found in state agencies or private practice. Domestic Violence Counselors should have a master’s degree or higher, with a doctorate required for private practice. Counselors in this branch should be empowering and compassionate. Grief Counselors work with individuals and families that have experienced traumatic events or the loss of a loved one. These counselors are most often found in private practices or non-profits agencies. Grief counselors should have at least a master’s degree. Individuals working in this field should be kind and compassionate. Marriage counselors work with married couples either individually or together to determine marital strengths and weaknesses in hopes of strengthening a relationship. These professionals typically work in private practices. Should have at least a master’s degree, with a doctorate degree required for private practice. Marriage counselors should be problem solvers that are determined to find answers. Family Counselors work with individuals and their families that are in need of conflict resolution. These counselors are most often found in private practice, but can also be found in some state agencies. Family counselors should have at least a master’s degree, with preference of a doctorate degree for private practice. Family counselors should be skilled in conflict resolution and great problem solvers. School counselors work in elementary to high school settings and colleges, guiding students through difficult every day struggles and life planning. They are most often found in schools and colleges. Most states require that school counselors have a master’s degree or doctorate degree prior to working directly with students. School counselors should be compassionate and caring in order to work with America’s youth. Spiritual counselors work with individuals from various walks of life to find empowerment and conquer everyday struggles through the use of spirituality. These counselors are most often found in private practice, schools, or churches. Spiritual counselors should have at least a master’s degree in counseling, with a doctorate required for private practice. Individuals in this field should be passionate and caring. Substance Abuse Counselors work directly with individuals suffering from addiction. They are often found in clinical and hospital settings, as well as private practice. Counselors in this specialty should have a minimum of a master’s degree, with a doctorate required for private practice. Substance Abuse Counselors should be effective listeners and determined helpers. Transformational counselors work with individuals that suffer from a confounded identity. They work hard to help free individuals from the expectations of others and embrace their true selves. These counselors are most often found in private practice. Individuals wishing to become transformational counselors should have at least a master’s degree, with a doctorate required for private practice. Transformational counselors should be good listeners and compassionate.